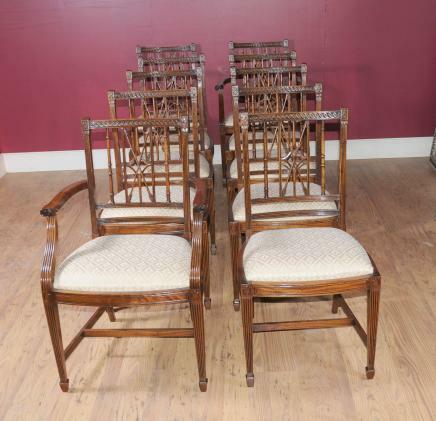 You are viewing a wonderful set of eight hand crafted mahogany Regency style arrow back dining chairs consisting of 8 side chairs and 2 arm chairs. 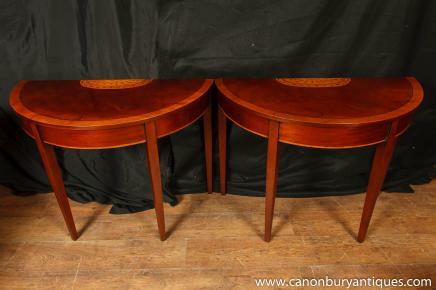 They are the classic arrow back design and are a very refined and comfortable dining chair and would suit a mahogany table (of which we currently have some for sale matching on eBay right now so check our shop or email for details). 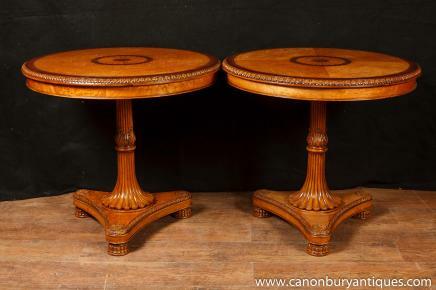 These are a gorgeous set which have just come back from the restorers and hence are ready for home use straight away being sturdy and solid. 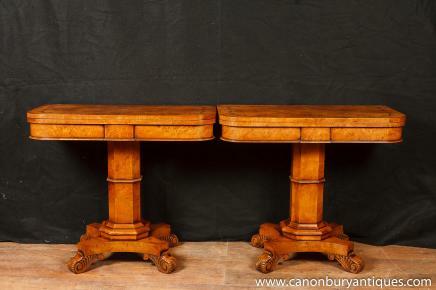 They are built to last and the wood has a lovely veneer to it which still smells of polish. 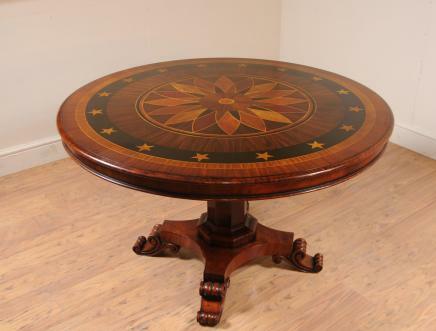 The crafting of these incorporates many different skills. To the top of the backsplat is the hand carved swirling design running horizontal. 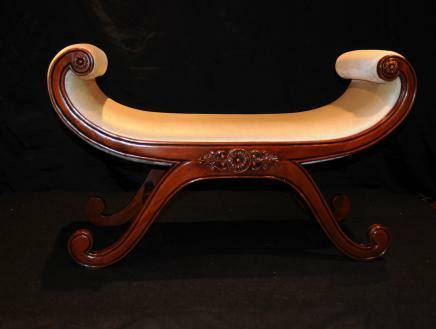 The vertical components to the backsplat consist of two turned pieces and the elaborate central design which intricately sits directly behind where your back would be. 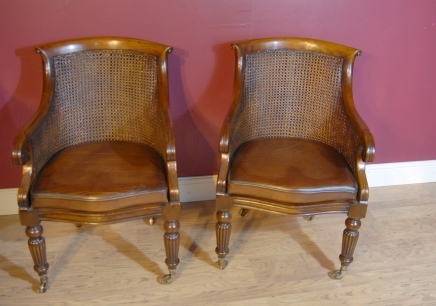 The chairs have a bow front bend and the legs are elegant with an almost colonial style vertical fluting. They are a joy to look at and use and I have included a picture of how they look around a table for you to hopefully marvel at. 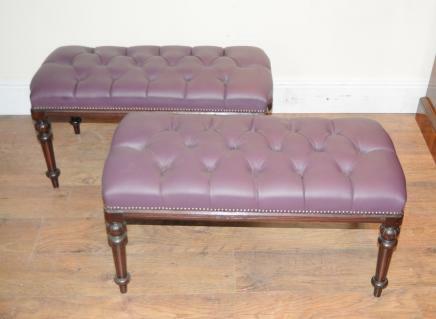 We also have some tables which match this set of chairs so please email for further details or check our eBay page. 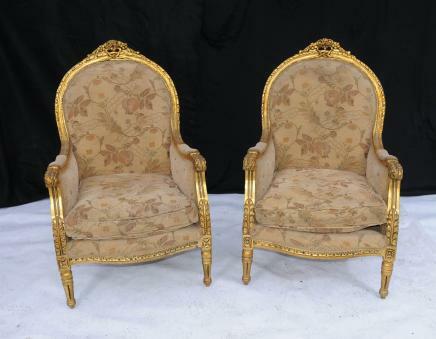 Of course, if you would like to buy both the chairs and the table we will offer a super discount.